This is a high impact sound collision from the Osaka noise scene. The live electronics of T. Mikawa (Hijokaidan / Incapacitants), and the wind instruments (saxophone, shakuhachi…etc) and piano of .es, formed a powerful trio of explosive sonic discourse. September 2012 contains two live performances recorded at Nomart Gallery and Namba Bears. 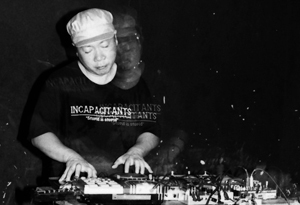 Toshiji Mikawa is one of the core members of the Japanese noise outfit Hijokaidan and Incapacitants. 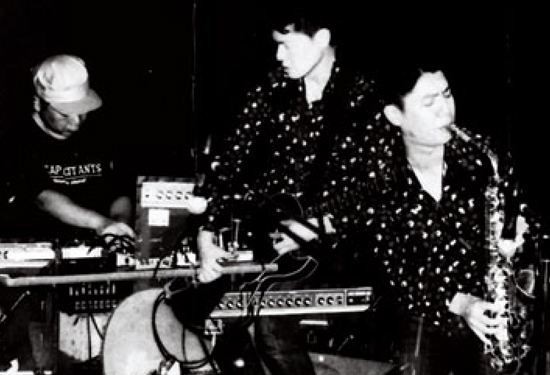 Mikawa started Incapacitants as his solo project in 1981. The original base of activity was Osaka, where Mikawa collaborated with Yamatsuka Eye and others. Later, after moving to Tokyo, Fumio Kosakai (ex C.C.C.C.) became a member, to form the current duo. From the beginning, while the attempt to achieve pure noise has been the most important aspect of their sound, they have also been famous for their stage performances, which are so wild they may remind people of pro wrestling matches. This aggressive, energetic style and the beauty of their noise are unrivaled. 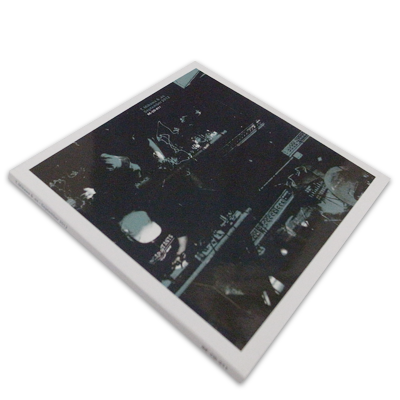 Along with Hijokaidan, Merzbow, C.C.C.C., and Solmania, Incapacitants is one of the most well known of the noise bands which started out in the early ’80s. Because of the members’ other work–Mikawa is a bank employee and Kosakai works in a government office–they have rarely toured inside or outside Japan. In November 1999, they performed at the festival Music Unlimited ’99 in Wels, Austria. This was their first performance overseas. In 2009 “.es” (dot es) started out as a contemporary music unit based at “Gallery Nomart” in Osaka, Japan. dot es comprises of Takayuki Hashimoto (guitar, alto saxophone, harmonica, etc), Sara (piano, cajon, dance, among others) and Satoshi Hayashi, an art curator and the producer of dot es. Their live music performances all have a different theme and appropriate instruments are chosen for each theme. The works of dot es are mostly collaborations with fellow artists such as modern artists, graphic designers, contemporary dancers, and other musicians. 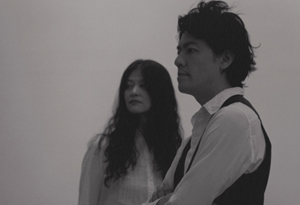 Hashimoto and Sara came to respect and play various musical styles such as rock, punk, classical, flamenco, and increasingly found themselves wanting to express impulses and the unchangeable soul. Their sound expresses wide-ranging sensibilities in its lyrical, sentimental, intensive and passionate forms – and delivers evocative memories and feelings in a powerful fashion. .es is exploring new areas of expression.